The Arizona Diamondbacks have extended their lead in the National League West to seven games. They played a three game series in AT&T Park against the San Francisco Giants this weekend. After losing the first game of the series, the Diamondbacks did what they have done all season, and came back and won the final two games. In game one of the series, the Diamondbacks started off strong. 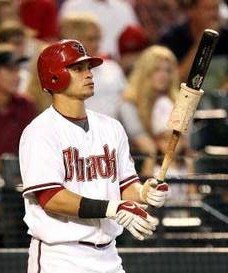 In the first inning Aaron Hill singled and Miguel Montero doubled to score Hill and give the Diamondbacks the lead 1-0. That lead held up until the bottom of the third when the Diamondbacks defense made a mistake when the ball was hit to left fielder Gerardo Parra. With two outs, Parra missed the cutoff to home, and instead of closing out the inning on a play at home, the Giants scored their first run which tied the game. The Giants proceeded to add two more runs in the inning when Carlos Beltran hit a two-run homer. A two-out walk started the rally for the Giants that inning. The Diamondbacks could only muster up one additional run in the fifth inning. The Giants added their own run in the bottom of the fifth, and another two in the bottom of the seventh. The Diamondbacks ended up losing game one to the Giants 6-2. Game two saw Ian Kennedy win his 18 game of the season over Giants ace Tim Lincecum. Kennedy gave up one run on five hits. He struck out six and only gave up two walks. Aaron Hill, who has had a hot bat ever since his trade, doubled in the third inning to score Willie Bloomquist and give the Diamondbacks the lead 1-0. The Giants tied the score in the bottom of the inning, but the Diamondbacks scored four runs in the next three innings to take a 5-1 lead. Rookie Paul Goldschmidt homered in the fourth and singled in the fifth giving him two of the four Diamondback RBI’s in those three innings. The Giants added one more run in the eighth, and the Diamondbacks added two in the ninth to secure the win 7-2. Daniel Hudson pitched a gem of a game in game three. After giving up a lead-off home run by Cody Ross to start the game, Hudson gave up only two more hits while striking out five and walking one in seven innings. The Diamondbacks still found themselves down 1-0 going into the eighth inning. Ryan Roberts homered with one out in the eighth to tie the game at 1-1, which seemed to spark the Diamondbacks offense. Willie Bloomquist hits a triple later that inning, scoring two, and Aaron Hill singled to score Bloomquist. In all, the Diamondbacks had four hits and a walk in the inning, scoring four runs. That was more than enough for the Diamondbacks to win game three, as the Diamondbacks pitching held the Giants scoreless after the lead-off home run to start the game. The Diamondbacks won 4-1, and took the series against the Giants two games to one. This gave the Diamondbacks a seven game lead over the San Francisco Giants in the National League West. This is the biggest lead all season, and with 22 games remaining, the Diamondbacks seem to be pulling away from the rest of the division. Up next for the Diamondbacks are the Colorado Rockies.